Happy Feature Friday everyone! Today we have the honor of getting to know a little about Roneth. 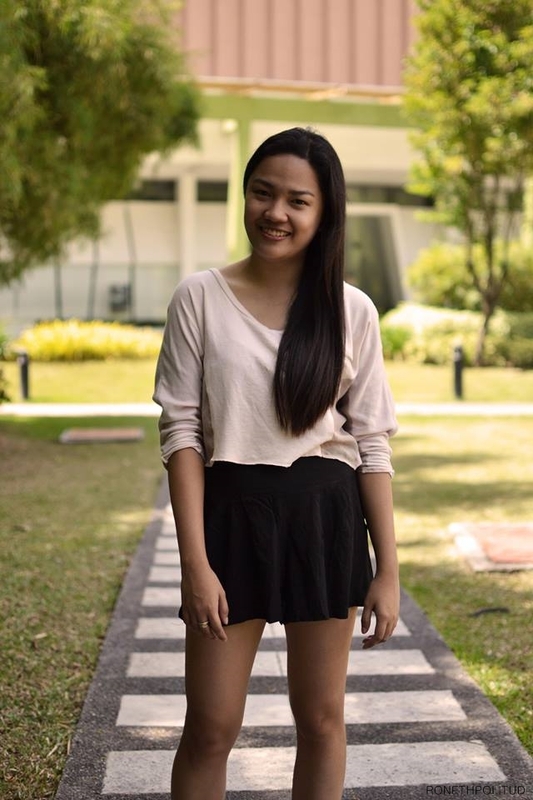 Roneth was born and raised in Tandag City, and from a young age, her love for travel blossomed. She embarked on many family travels, and she learned from her parents that travel did not necessarily equate to expensive. Her passion for travel has only continued to grow with each passing year, due to her experiences. Today, Roneth is mostly sharing about a recent trip to Vietnam. Come find out what she thought, her challenges, and her advice to others who might be visiting the country! 1. Thank you for being a part of Feature Friday. Can you tell us a little bit about yourself? Thank you for having me! I’m Roneth from the Phillippines. I blog at The Fickle Feet where I share about my travel stories, people I meet on the road and the things I learn while travelling. My content is more about my beautiful country Philippines however I also travel once in awhile to my neighboring countries. Philippines! People will always say that home is a feeling not just a place. I do feel that sometimes, but I always believe that there is no place like home. I never experienced living abroad yet but I’m pretty sure I always feel comfortable in my beautiful country where I can go island hopping endlessly. We have more than 7,000 island so, it might take more than a lifetime to explore every bit of it. Haha. 3. Which city[s]/country[s] did you recently travel to? Recently, I just went to a solo travel outside my country for the first time. I went to Singapore, Malaysia and Vietnam. Such a completely different route than the usual. Haha. 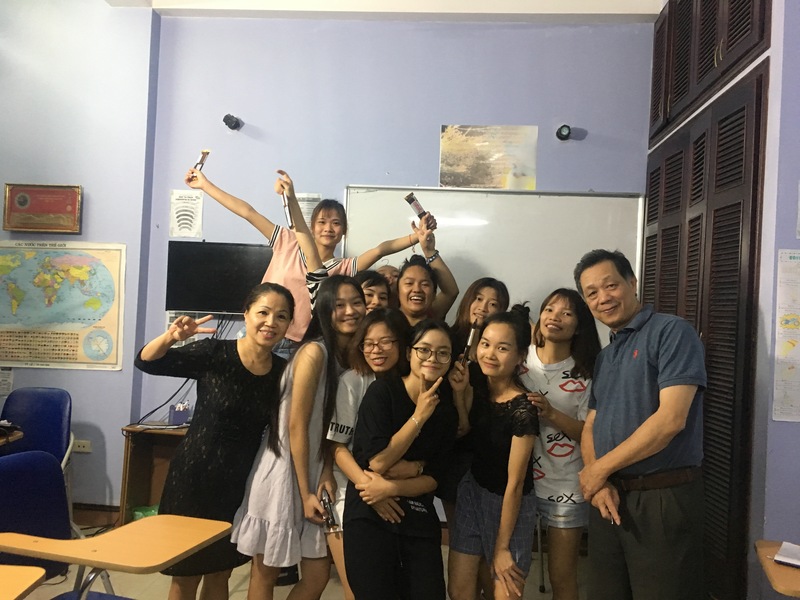 I stayed longer in Vietnam where I volunteered to teach English in a homestay in Hanoi. It was just three weeks. I spend most of my time in Hanoi, Vietnam. It was a short time for me but it was a very memorable experience. 5. Why did you travel to those countries? 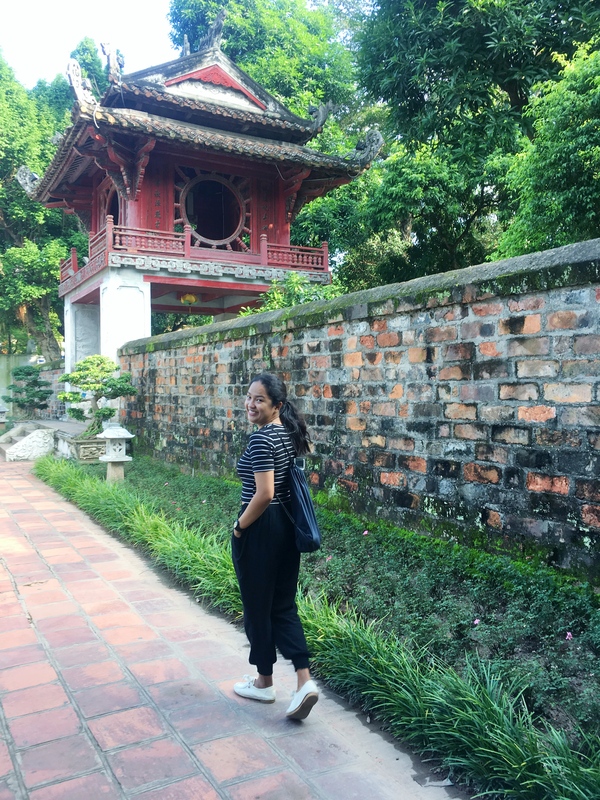 I heard a lot of beautiful things about Vietnam, and I always wan tot visit the north so it was a good opportunity for me to try the volunteering activity. Aside from that every time I travel, I’m with some friends, or with my boyfriend. I am not a good travel planner so I always tag along with their plans and list of things to do in a specific place. So I wanted to challenge myself to new experiences, and since I just quit my job, I have nothing to do. I decided to try thing thing ‘solo travelling’. I do not want to label it that way since I always knew that I will meet a lot of people on the road, but still I was travelling alone and making decisions all by myself so that was a different situation for me. Bánh mì and their version of Balut, called trứng vịt lộn. Their food was really good. I went to Thai Binh Province with the student in Homestay. I stayed with her in their house and I ate a dish made of rat meat. I hesitated at first (because of the obvious reason that it was a rat) but I don’t want to be rude so I tried it. Surprisingly, it tasted good. 8. Was was your most unique mode of transportation? Motorbike is not really a unique mode of transportation but it is the most convenient way in Hanoi. I think the unique part is the situation on the road while riding it. There are a lot of motorbikes and all of them stay really close with you while you are stuck in the traffic. I consider myself lucky enough not to have the burn from the exhaust pipe. They call it Vietnamese kiss. 9. What was the weather like during your trip? It was rainy during the first few days, but luckily the sun came out and we had a beautiful weather during my stay. It was definitely not as hot in the Philippines so it was good for me. 10. Where was your favorite place to go in Vietnam? Maybe just inside the homestay. I acutally did not go out much as I should have. I really like the people and the students in the homestay plus it feels like home so my laziness radar was on during my stay. We live near the market so maybe that’s the reason there were a lot of rats around the area. I know that I did eat some but still, it’s disgusting. A lot! I learned to listen very eagerly. I am very talkative and listening is not really my cup of tea. At the same time, I learned to be patient and more sensitive. Also, during the trip I learned to appreciate everyone’s differences and good qualities, including mine. I always say this, the people make the place more special. So I would say the people I met during this trip. It was very nice to interact and to learn the culture, history, and language that were not mine. Not just from the locals but also from my co-volunteers who were from the different side of the world. I think it was dealing with my own opinion without someone’s agreeing or disagreeing on me. Haha. I’m not totally dependent but I want to hear other’s opinion as much as it benefits me. It was a challenge at first to listen to my own instinct, maybe because I know I’m out of my comfort zone, or maybe ti was too far for me to call help if things mess up. But if was only at the beginning, the moment I surpass that, I learned to trust myself better. Things never went easy, it was just I got better dealing with the situations one step at a time. I went to Halong Bay during my trip. It was amazing and I had a lot of fun. The rock formation in the middle is the image in the 200,000 dong. 16. 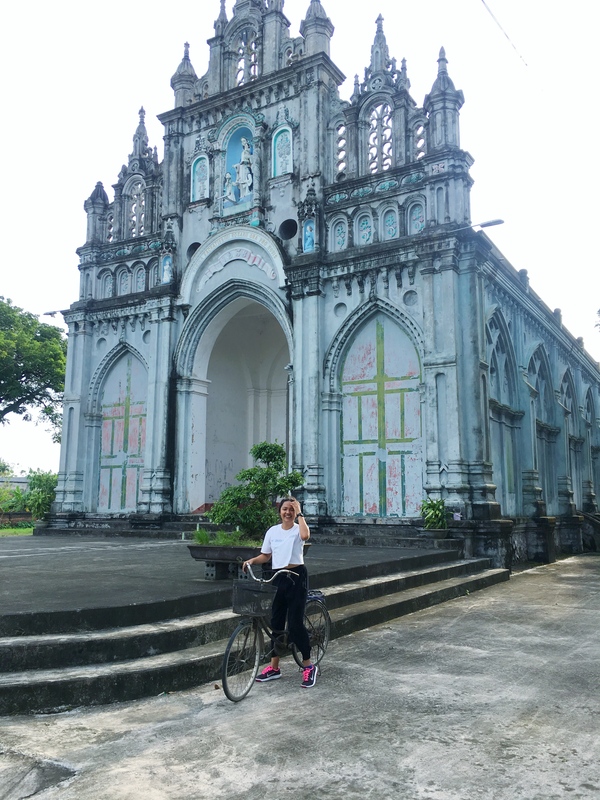 How does Vietnam compare to your home country of the Philippines? Were your expectations met, or did they differ completely? It was almost the same in my country. The people are nice and the place almost looks the same. But still there were difference which made it more special, like they use chopsticks, the food and obviously the language and culture. 17. 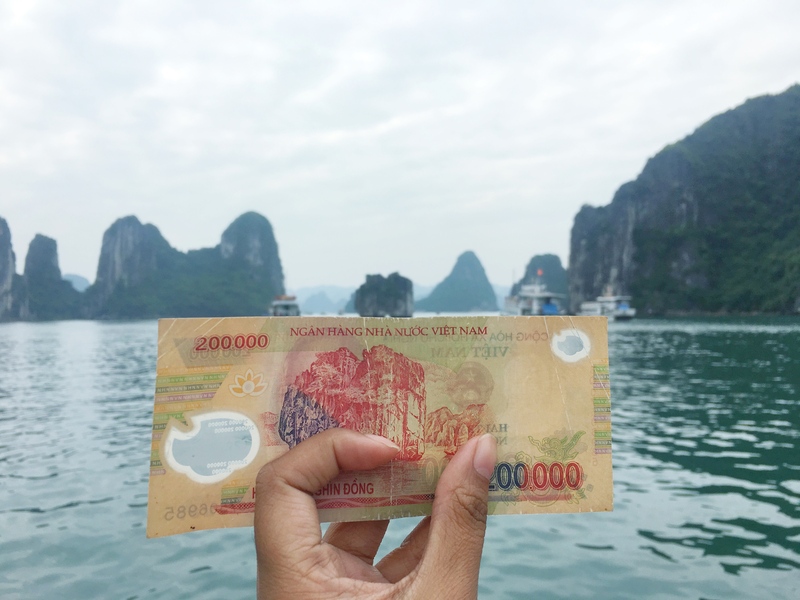 If you were to go to Vietnam again, what would you do differently? I think I will visit the south next time to compare the difference. But I will surely visit Hanoi again to meet my new friends and try to explore more of the old quarter. 18. If someone else was to go to Vietnam, what advice or tips would you give them? Volunteer and live with the locals. They will show you how their culture really works. It is better to spend it with people than only visiting tourist attractions. Learning is a two way street so you can learn from them and you can give other information too. For me that is the best way to travel. I recommend everyone to visit Vietnam and experience their culture. As of the moment, it is mostly in the Philippines. But I am hoping to travel more in Asia next year. Thank you Roneth for taking the time to share with us about your trip, and for being a part of Feature Friday. I loved hearing about your trip, but I can honestly say I would have been frantic if I was in your situation with the rats and the cockroach. But it sounds like you and your friends handled that pretty well! I’ve always heard great things about Vietnam, and of course now, I want to go even more! Hopefully that time will come soon! Thanks again for being a guest on the blog! Did you enjoy what you read? Get to know more about Roneth! Next Next post: Feature Friday: Meet Jasmine C.